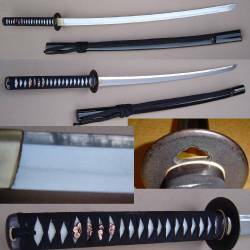 10.5" Overall with a 6" sharpened, hand forged D2 high carbon steel blade with black finish. Polished micarta handle scales with brass retaining bolts. High quality leather belt sheath included, totally handmade item.